KHTK Postulate M-16: Cause is the first part, and effect is the last part of association (in time) among forms. We cut a tree; it falls. We strike a match; it lights up. Thus, we have a phenomenon that seems to be a direct consequence of another phenomenon. This makes us believe that all phenomena are caused. We, thus, assume that a form must be a consequence of another form. This belief leads to an infinite series of causes, where each cause has a form. To resolve the inconsistency of an infinite series of causes, we assume a First Cause that is not itself caused. “First Cause” is a part of a series of assumptions as described above. The idea of cause has to do with the association and the type of relationship among forms. Cause is not some form itself. A cause is created only when an “association in time” is set up among existing forms. The forms themselves may simply appear or disappear depending on perception. KHTK Postulate M-18: That which underlies forms cannot be a form. If God underlies forms then God cannot be a form. God is associated with properties such as holiness, justice, sovereignty, omnipotence, omniscience, benevolence, omnipresence, and immortality. If these properties can be visualized then they are forms even when they are abstractions. None of these forms can be God. In fact any description of God would be a form. So, no description of God can be God. KHTK Postulate M-19: What underlies forms is ultimately unknowable. The processes of perceiving and knowing underlie the forms. Beyond these processes we may postulate primordial inertia-less field and activity-less energy. One may postulate something different. But it always ends up with postulates to make all forms consistent. 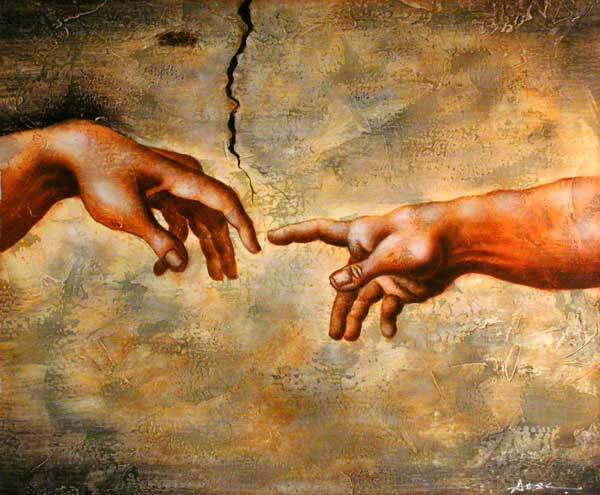 KHTK Postulate M-20: God is ultimately unknowable, though it may be speculated upon. If God is viewed as the ultimate reality underlying all forms, then God is beyond all desires, activities and expectations because these are forms. Like the asymptote that never reaches its limiting value God cannot be known with absolute certainty, though we may speculate upon God. There are many hypotheses presented in religions and sciences about the beginning of this universe and God. Two major hypotheses are (1) God is a being, or known entity, and (2) God is unknowable. Since there is inconsistency between these two hypotheses then, according to KHTK, there must be an underlying arbitrary assumption. I think the arbitrary assumption might be that there had to be a God – knowable or unknowable. The “God” phase, as you say, requires form and before form there was no-form. “No-form” would have been the emergence of awareness, the awakening where the awareness unit discovers that it “is”. This is a causeless beginning. It is simply an emergence. Simply the outcome of probability. Nothing fancy. And “it” was probably fairly stupid when it woke up. Like an infant it gradiently acquired perception and understanding. This was a 2 trick pony: it could make space and it could copy. A very real analogy would be cancer – out of control copying that creates an untenable mass. The one thing about this mass of copies would be that at least some of the copies could figure out what was going on and begin to see how to use these simple abilities of making space and copies in manners that allowed them to do more things. When they got proficient with these simple tricks and learned how to make things persist, THEN they were on their way to becoming “Gods”. Creators, for sure. Hi 2x, In your model, if I understand you, emergence of consciousness occurs spontaneously. Would you allow for this to have been occurring since when? Meaning would conditions need to favor this emergence? Did it occur in the past? Does it continue to happen? And does this allow for evolution to greater consciousness? How great? If an emergence of consciousness is probable (i.e. within the limits of probability) then more than one emergence is also probable, though not necessarily equally probable. However, if even one potential awareness was able to be awakened by an event such as the boundary interaction, and if an intrinsic capability of that awareness is to make a copy of a space, then that particular awareness could spawn any number of copies of awarenesses. How long this stage would continue before awareness rose to a point of understanding the automaticity and causatively ceasing the automatic copying is a good question but not necessary to answer as it is a mechanic of finite duration meaning it would not have been going on “forever”. 2x: An existence of any prior condition would favor the emergence as the prior condition would give the expanding emergence something to “bump into”. However the other prior condition should not have needed to be anything other than another space emerging from a point and propagating outward. 2x: I would say the rules of probability would demand that it could continue to happen. 2x: If the mechanism I’ve described was an actual mechanism then, yes, understanding a mechanism should allow evolution past the original point. For now, though, I expect shoulda, coulda and a dime will evolve me by precisely 10 cents. Excellent! That might be so, but remember, there was nothing to perceive in the beginning, nor any perception-point. All that there can be is a desire to perceive and know oneself. This is just a speculation. I agree that if there had been only one of these units it probably would have remained an un-awareness unit as it had nothing to perceive and nothing to wake it up. If, as I propose, the result of the random probability was the emergence of a point that expanded, thus creating dimension, or space, then what would be the consequence of two such expanding spaces finally coming in contact with each other? If you’ve ever played with large soap bubbles you will have seen a number of possible outcomes but the common thing is that once the boundaries of the bubbles intersect there is some reaction that propagates across the bubble. I think this model could well apply to the emergence of awareness. It would be that particular reaction at the intersection of the two (un)awareness spaces that would be the most likely thing to stir an awakening of the (un)awareness of one or both “bubbles”. I believe that dimensions (space) and period (time) are by-products of forms. Initial forms come about in an arbitrary manner. But later forms may be a function of earlier forms. “Space” changes as the characteristics of dimensions change. “Time” changes as the structure and inertia comes about. Awareness is there from the beginning even if in a very primitive form. Awareness is what generates forms. But then awareness seems to evolve as forms evolve. What do you think an initial form might have been? What shape or composition? I think it would be common to associate shape and composition with the concept of form. I have no idea. That will require some thought. This fellow’s work is quite interesting. It lends credibility to viewing magnetism as flowing loops of space. Back when I started my own thought analysis of E and M, my consideration was that magnetism could be represented by coiling lines like a spring and that would be why magnetic lines would attract or repel: coils spinning in the same direction can not interlock (repulsion) while coils spinning in the opposite direction can (attraction). This idea could account for magnetism but not also electrical attraction and repulsion. When I saw the magnetic bowls he had made I quickly saw that magnetism was better shown as loops and the electrical component – charge – as the spinning coil. This would allow charge to be unipolar and the magnetic loops to be bipolar. The Primer Fields has 3 videos, 3 parts, available on Youtube. Our friend, the flogger of fractals, should get quite a kick out of them. In regards to the Big Bang theory, the effect that you’ll see demonstrated by the magnetic fields and plasma formation is much like what I’d expect the Big Bang could have looked like. My earlier consideration of the magnetic field containment rings was as simple toroids but, again, when I saw the effects of the bowls it was quite apparent that the modified toroid had far greater potential as a magnetic lens to facilitate the bang. All this still fits within my concept of space geometries and modulations of space as a means to generate the fields. It may also help you with the idea of form. Very interesting data for the grist mill. Thank you 2X, these are really astute posts. I’ve taken a while to reply watching the video and digesting your comments. In school, discussion, and writing, we toss around terms like “fabric of space” etc., as though these are everyday terms that are well understood but I am excited by anticipating future developments in our understandings. My opinion is that when we improve our understanding of space, we will unlock a rudimentary understanding of the universe as well. My opinion is that many wonders await – greater than all the previous understandings together when we give up our pitifully empty assumptions about space and see it as a keystone. These videos you posted seem to support this position.